The end of year is rapidly approaching, with most holiday collections being released awhile back. Here is a roundup of the other Holiday items I purchased, while there is still a whiff of cinnamon and spice in the air . 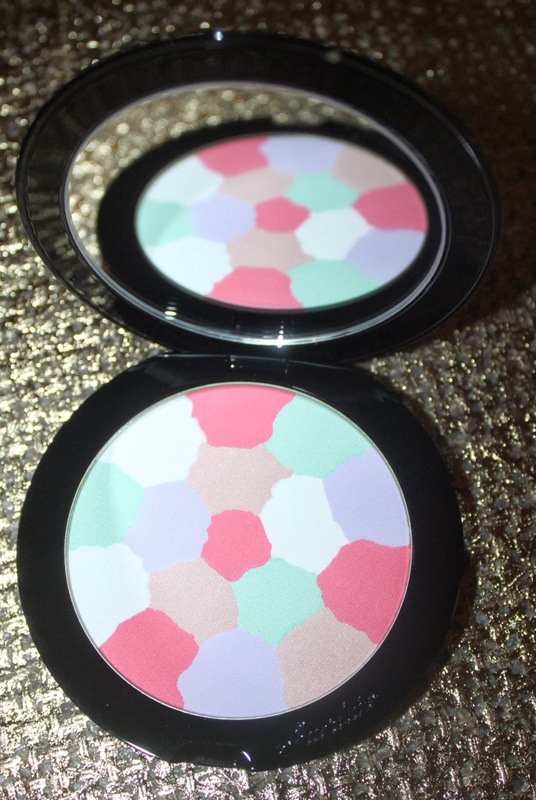 I have previously reviewed the gorgeous Shu Uemura holiday here and here. I have also featured the Three Holiday Winter Stardust Set here. The SA’s at the Chanel boutique went all out with their beautiful packaging. So elegant! The Joues Contaste Powder blush for holiday 2013 is my first Chanel blush. Wow, what an introduction. It is a hybrid between a bronzer and rosy glow on my skin tone. It swatches with a sparkle, but this does not show on the the cheeks. My cheek bones are like KAPOW, once I apply this. The now famous sponge like Illusion D’ Ombre came in two shades of which I chose Fatal. This sultry berry shade really works for one of my favourite grunge lived in looks. I missed out on last years Guerlain’s Wulong spectacular, mainly as I did not want to part with the ridiculous amount they asked for it (blocked from my mind), but the Crazy Paris collection came with two pressed beauties. Above is Crazy Meteorites. A Radiance powder that is so silky smooth to the touch, applies sheer and leaves a veil of skin perfecting powder that blurs and enhances in all the right places. This Crazy Terracotta compact was actually a second choice to the crazy meteorites. I am so glad I did not miss out. The same sublime texture as above. This ‘healthy glow powder’ really gives the cheeks a pretty flush. Lastly, the Shiseido Eye Colour Bar – I nearly camped out for it, as only recently made it’s appearance here. I am going to reserve judgment as I have had limited time to play with it. First impression: powder is silky in texture just like my Cle De Peau quads. The colour payoff on the few I have worn are more ethereal than saturated. Time will tell if I like this. The look above shows the Chanel Illusion D’ Ombre and Accent Joues Contraste Blush in action. A simple but effective look. Happy Holidays! I do have one or two posts planned before we go on our family holiday. If I do run out of time to finish, I apologise in advance, tis the Silly season as they say! Yes it is – I think it is a really unique shade too. There were some really special pieces this holiday season – glad I could get my hands on some of them:) What were your favourite purchases this holiday?